Third Coast Review and Tree Falls Productions conclude Kill Your Darlings, their series of “live-lit/improv mashups” on Wednesday, September 14. That night will be devoted to Lit itself and we’ll explore Chicago’s saloon culture and its relation to literature. Guest reader and host for Lit night will be Bill Savage, who teaches Chicago culture at Northwestern University and the Newberry Library. His essays, articles and reviews have run in the Chicago Tribune, ESPN.go.com, Third Coast Review and Chicago Reader. His next book is an annotated edition of George Ade’s The Old-Time Saloon, out this fall from University of Chicago Press. Bill’s article, Hot Dog Chicago, is one of the most popular ever published on Third Coast Review. Another guest reader is the man with the amazing name, Ignatius Valentine Aloysius, who teaches creative writing at Northwestern and Harold Washington College. He’ll read an excerpt from his new book. Kill Your Darlings director and producer Karin McKie says she thinks this is the first example of live lit and improv being combined into single evenings of performance. Live music is a feature of some of the evenings. Wednesday night’s program will include improv by the Darlings and audience participation. 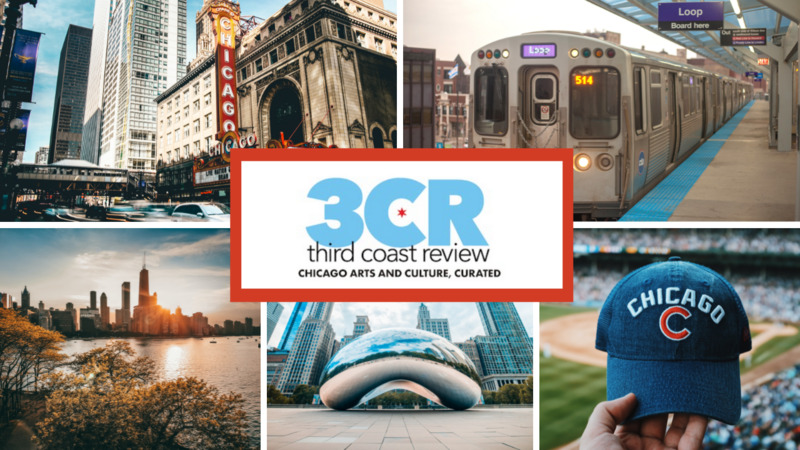 Each evening has been inspired by one of the seven cultural categories that match the pages on Third Coast Review (Stages, Screens, Music, Lit, etc.) The bar will offer literary-inspired drinks. The Kill Your Darlings crew of writers and readers. Kill Your Darlings is created and performed by Karin McKie, director and producer. Curators and performers include Kyle Biemiller, Ada Cheng, Emily Drevets, Mishell Livio and Aaron Sanchez plus Third Coast Review editors Nancy Bishop, Kim Campbell and Emma Terhaar. The improv team, The Darlings, features Dan Oliver, Nancy Fast, Lou Leonardo, Paula Skaggs and Allison Ungar. Kill Your Darlings will be held from 7 to 8:30pm Wednesday at CSz Theater Chicago, 929 W. Belmont, just east of the Belmont CTA station. Tickets are $10 or $5 for students with ID.